Tampa Bay is one amazing city for shopping! It is home to two major malls; Westshore Plaza and the International Plaza. Westshore Plaza boasts over 150 stores including Nordstrom, Macy's, Gap and Saks. International Plaza hosts the high end stores including Burberry, Louis Vuitton, Hollister and more. There are plenty of bars and eateries there to keep you energised for a full day of shopping. The International Plaza Mall is also home to The Cheesecake Factory. 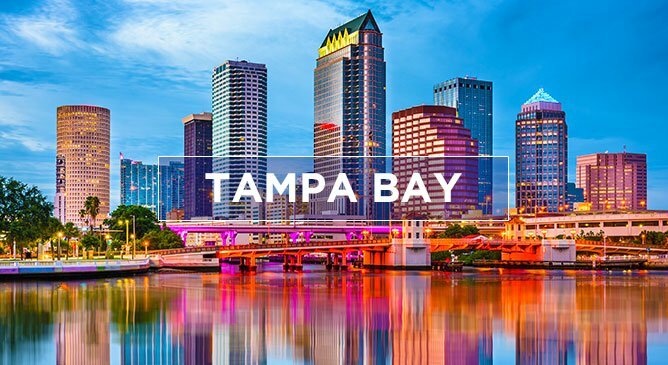 The best thing about these two malls is that they are located just a short drive from Tampa International Airport, so if you are ending your trip or have just come off an amazing cruise and you have some time to kill, stopping by these shopping malls is a must.